After using both MagicFit and Ann Chery, I’d like to conclude why I have choose MagicFit over Ann Chery. 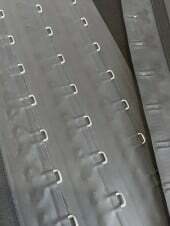 Fabric: I’d like to compare the Fat Burning Latex materialed Waist Trainer. Shape wise, MagicFit has more of a human curve which Ann Chery’s curve is in a different shape like a “X-shape”. than Ann Chery. One thing I need to highlight is I actually couldn’t feel how much I sweat until I took MagicFit out. 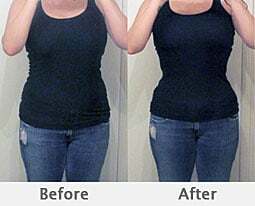 My waist measurement reduced 0.29 inches on the day I worn MagicFit and only 0.12 inches on the day I worn Ann Chery. I could feel the fabrics of these two brands are different although they look very similar. I believe there are fat burning elements built into MagicFit’s products by simpling looking at the result. Waist Training Specialist support: I purchased my Ann Chery on the internet. I heard about the latex corset by looking at Kim Kadarshian wearing the corset to do her exercises. After I purchased my corset, I had no one to talk to about how to use, basically it is the same thing with you purchase anything online. You are on your own now. I called MagicFit customer support to choose a right size and setup my own profile with MagiFit with my own waist training specialist. I could reach her on online live-chat or by phone during working hours when I have any waist training related questions. The support ensured I could correct whatever I am doing wrongly to make sure I can achieve my goal. There are a lot of products in MagicFit, compression garment, compression underpants, waist cincher. If you need to do a complete MagicFit program, you’d need a lot more range than what Ann Chery is providing. I rather see MagicFit is a combination of Ann Chery and SPANX. It’s own product range can provide all your need for your waist training or waist lost or just body toning plan. I live in Melbourne, Australia. My MagicFit takes only overnight delivery to my area (and most of Australia). It is free delivery to Australia and New Zealand too. Not many stocker is selling Ann Chery, I need to order it online and waited over 2 weeks for it to arrive. It is actually a bit too tight for me, but I don't know who to talk to for my exchange, so I kept the Ann Chery. 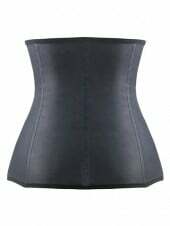 Both MagicFit and Ann Chery are premium brand in waist training products. Although MagicFit has big discounts to recruit more users once in awhile, so watch out the sale on MagicFit, you’ll get good bargains to use its products and services.